For those looking to plan an unforgettable trip to Spain there’s no better road trip-friendly destination than Andalucia. This region dominates the majority of Southern Spain, its vast landscape ranging from the dry deserts of Almeria in the east, to the wetlands of Donana National Park in the west, year-round snow capped peaks in the Sierra Nevada, and the postcard-perfect beaches that spread out across the Costa del Sol. Getting to Andalucia from Canada has never been easier as Air Transat recently launched routes to Malaga from Toronto and Montreal. Upon arrival, hire a rental car at the airport and you can easily organize a relaxed two-week itinerary that features Andalucia’s must-see cities: enjoy flamenco fever in Seville, skip through the iconic Mosque-Cathedral of Cordoba, indulge in authentic tapas culture in Granada, and finish it all off with a sun-soaked gay beach holiday in Malaga. 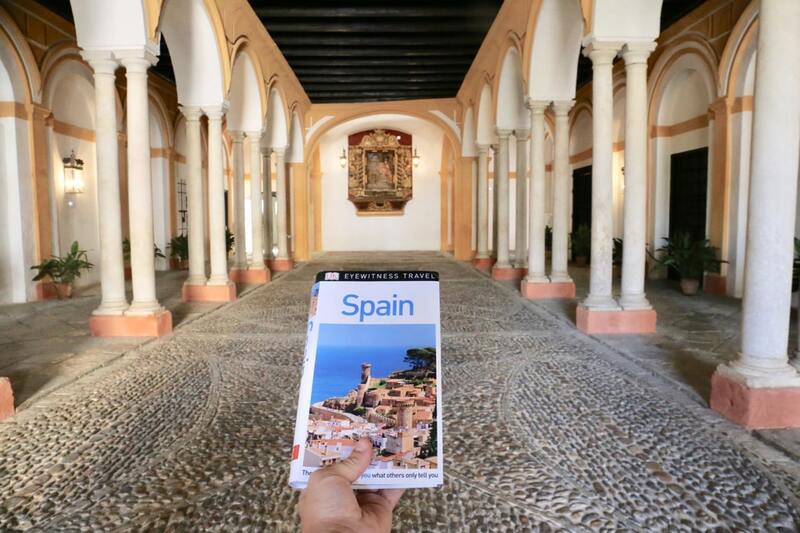 In preparation for my epic Andalucian road trip, I researched the destination months in advance using the newest edition of Eyewitness Travel Spain (DK Publishing, 2018). The informative guide includes detailed itineraries and “don’t miss” destination highlights at a glance, illustrated cutaway 3-D drawings of important sights, floor plans for major attractions such as cathedrals and museums, area maps marked with popular sights, top hotel and restaurant listings, as well as a slew of info on niche interests such as the history of flamenco, Moorish architecture, wildlife and national parks, and a comprehensive overview of Spanish wine. 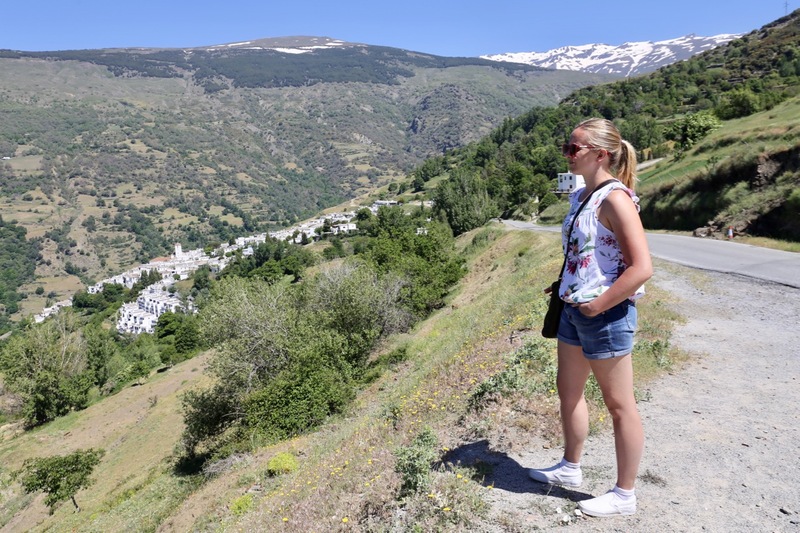 What I loved most about using Eyewitness Travel Spain on the road was that each region of the country has a dedicated spread highlighting its must-try dishes and drinks. For foodies like me, it’s a great help to review an eye-popping photo-feast for each destination so when dining out at restaurants and visiting local markets you can ensure you’re tasting each destination’s most famous delicacies. The Andalucian capital’s star attraction is the Seville Cathedral, which occupies the site of a great mosque built by the Almohads in the late 12th century. 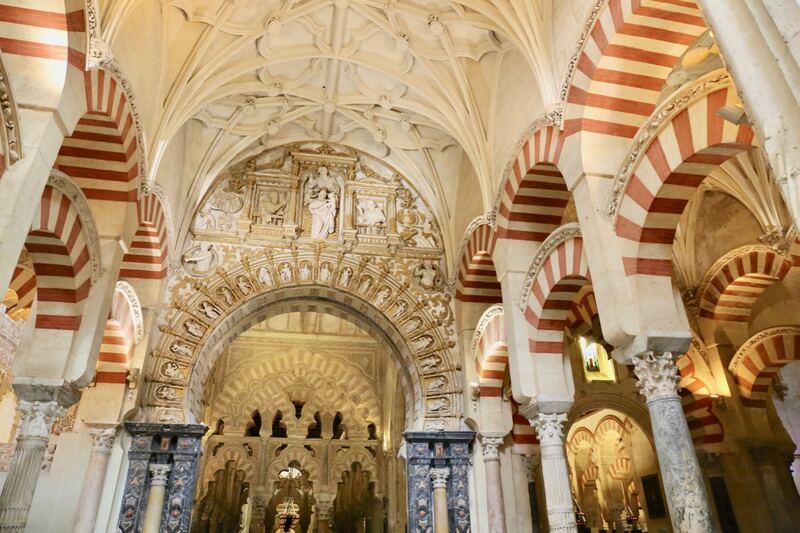 For architecture fans, a visit to the cathedral offers a fascinating study into the building’s synergy between its Moorish Muslim past and current Christian design (which began in 1401 and took over a century to complete). It’s ranked as the largest cathedral in Europe, so be sure to give yourself plenty of time to explore its Gothic immensity. 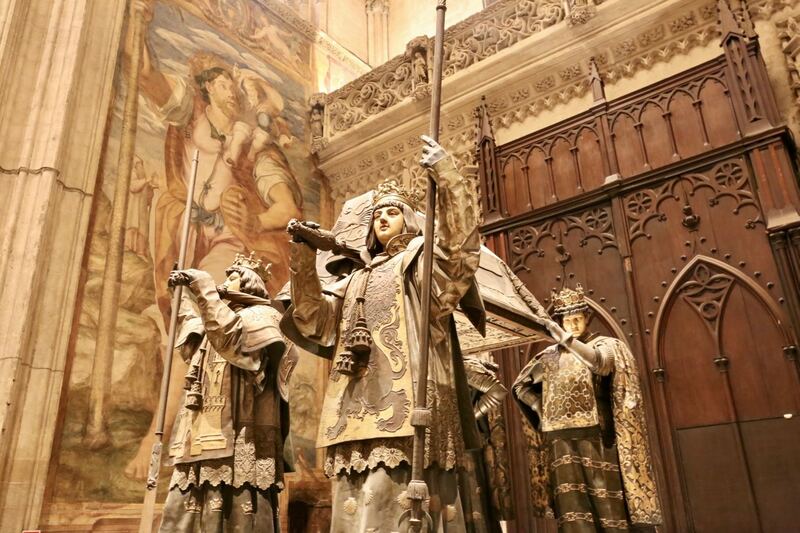 Not to be missed: La Giralda (the bronze weathervane that crowns the bell tower), the monumental iron gate of Capilla Mayor, and the stunning Tomb of Columbus, featuring his coffin carried by bearers representing the kingdoms of Castile, Leon, Aragon, and Navarra. 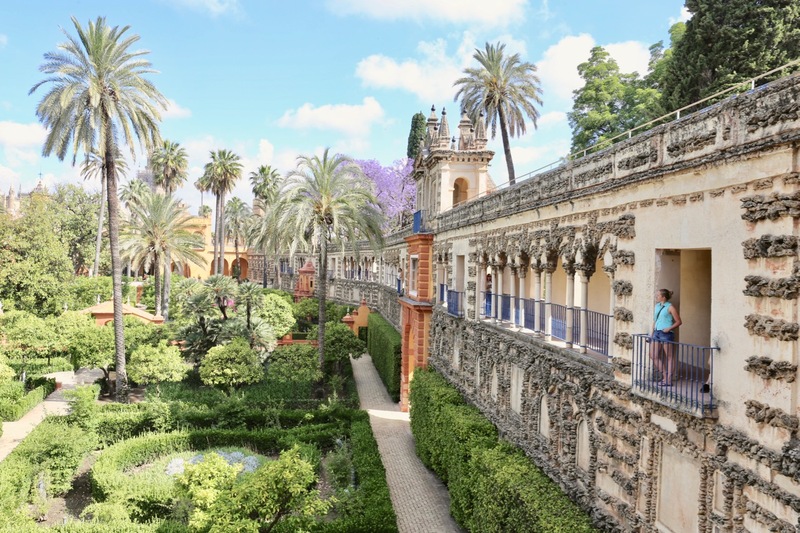 Horticulture hounds encounter a lush oasis in the heart of Seville at the palatial Real Alcazar. In 1364 Pedro I ordered the construction of a royal residence within the palaces, which had been built by the city’s Almohad rulers. He hired an army of craftsmen from Granada and Toledo, who created a jewel box of Mudejar patios and halls. Visit the property today and you’ll find gorgeous gardens, frothing fountains, and intimate architectural interiors, which were most recently used as a shooting location in Game of Thrones. 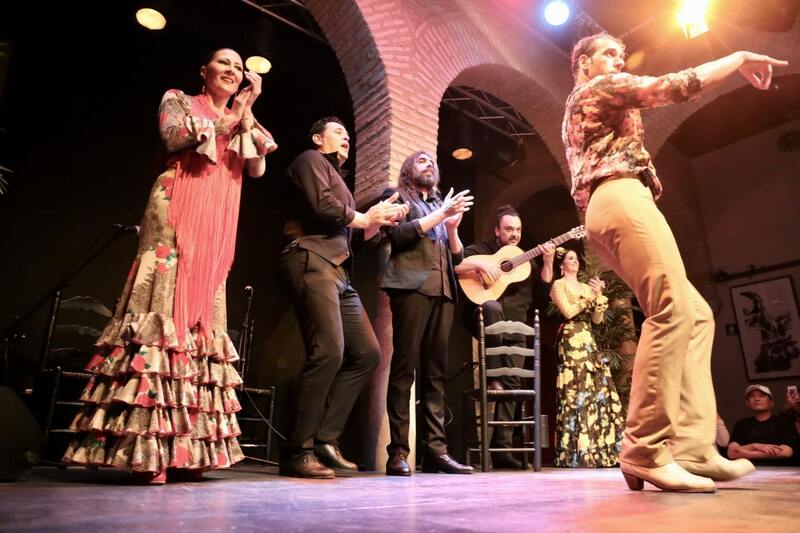 Andalucia’s greatest gift to the art world is the fact that it is the birthplace of flamenco. There’s no better place to educate yourself and experience Spain’s iconic heart-thumping footwork than at Seville’s Flamenco Dance Museum. Arrive an hour before your scheduled performance and enjoy a stroll through its interactive museum. You’ll appreciate how different aspects of the celebrated dance have been influenced by a handful of cultures: the Greeks brought the castanets (percussion instruments that dancers clap in their hands), Arabs provided the singing and guitar, gypsies from India incorporated the arm, hand, and shoulder movements, and after the French invasion dancers began dramatically tapping their feet. Flower fans enjoy a pilgrimage each May to Cordoba’s Concurso de Patios, an annual festival which has been running since 1918. Green-thumbing locals open up their homes to the public and show off the lush gardens that decorate their inner courtyard, or patio. Cordoba’s now infamous courtyards are inherited by the Islamic house tradition, characterized by the construction of facades oriented towards its interior. Patio’s are distinguished by a multitude of flowers planted in both beds and bright blue pots, which hang across white-washed walls. 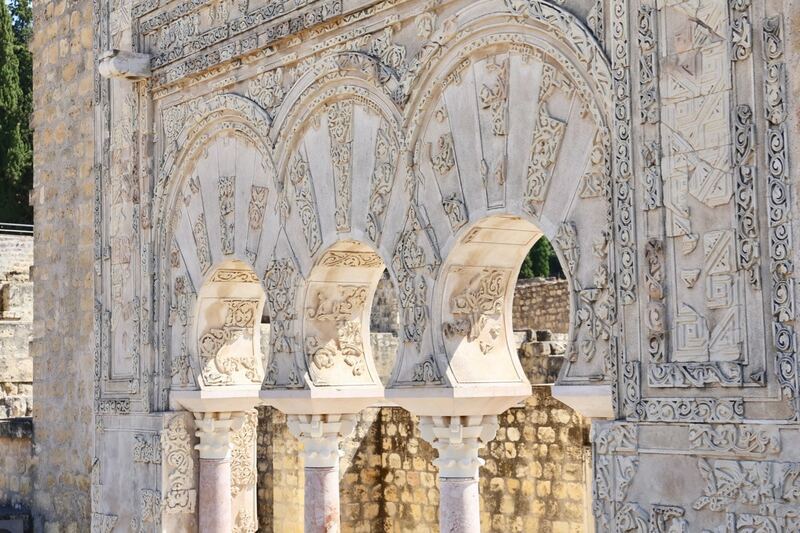 Next to them, the wells or fountains embellish the site, forming a beautiful image in which water, light and vegetation merge, a clear reflection of Cordoba’s Arab past. If you’re looking to experience the city’s favourite festival but can’t make it in May, fret not! 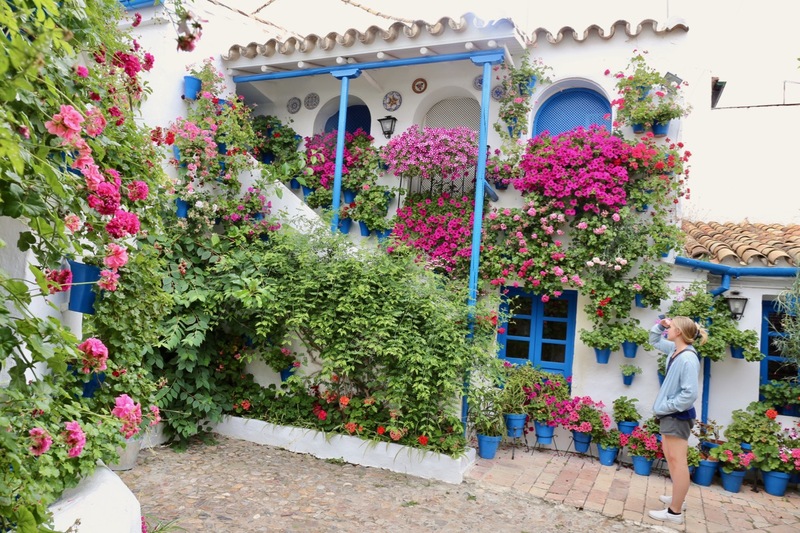 You can experience the city’s prettiest patio year round at “House of Trueque 4,” which in 2015 was transformed into a museum, the Cultural Center of the Courtyards of Cordoba. Cordoba’s star attraction is the Mezquita (also known as the Mosque-Cathedral), which dates back twelve centuries and is considered to be the perfect architectural embodiment of the power of Islam on the Iberian Peninsula. The original mosque was built by Abd al Rahman I between 785 and 787 but the building evolved over the centuries, harmoniously blending a variety of architectural forms. In the 10th century al Hakam II dreamed up the most lavish additions, including the elaborate mihrab and the maqsura. It wasn’t until the 16th century that a cathedral was built in the heart of the reconsecrated mosque. A visit to the Mezquita is a photographer’s dream, with warm light, sharp shade, and ancient arches and pillars (more than 850 columns of granite, jasper, and marble support the roof), offering dazzling visuals. Just a few kilometres north of the city lies the ruins of a once glorious palace. Built in the 10th century for Caliph Abd al Rahman III, Medina Azahara is named after his favourite wife. He spared no expense, employing more than 15,000 mules, 4,000 camels, and 10,000 workers to bring building materials from as far as North Africa. Start your tour at the sites newly opened museum and explore some of the palace’s excavated treasures. Then plop yourself down in the theatre and watch a fantastic animated film which takes you on a virtual tour of the community that lived here during the palace’s most opulent era. Visitors then hop on a bus and are delivered to the palace ruins, which is built on three levels and includes a mosque, the caliph’s residence and fine gardens. In 1570, Philip II commissioned the monumental Royal Stables because he loved horses and wanted to oversee the creation of the world’s best breed: the Andalusian horse. The Spanish thoroughbred was a very popular riding horse and soon became a striking symbol of the Spanish empire. 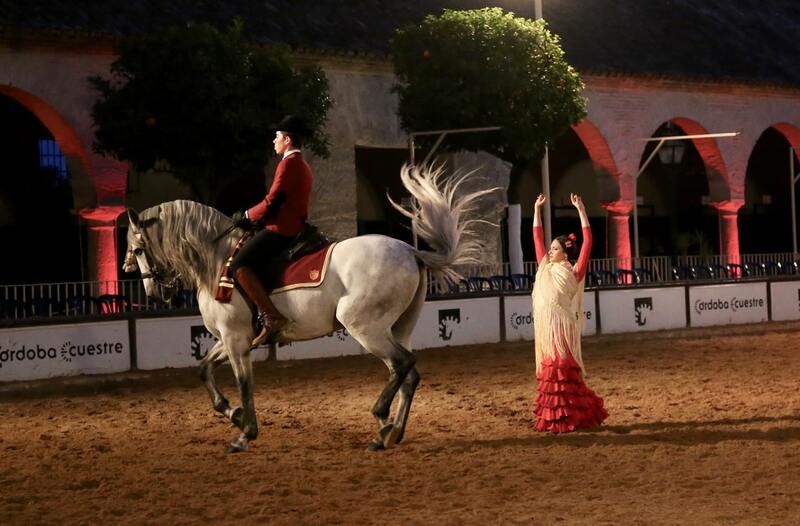 Today Cordoba’s Royal Stables have been transformed into a theatrical stage. Each night, equine enthusiasts sit in the stands sipping glasses of champagne while a parade of Andalusian horses dance with glee. The 90-minute performance is accompanied by a dramatic score with its most memorable moment being an intimate dance performed between a perfectly coiffed horse and a flamenco dancer. 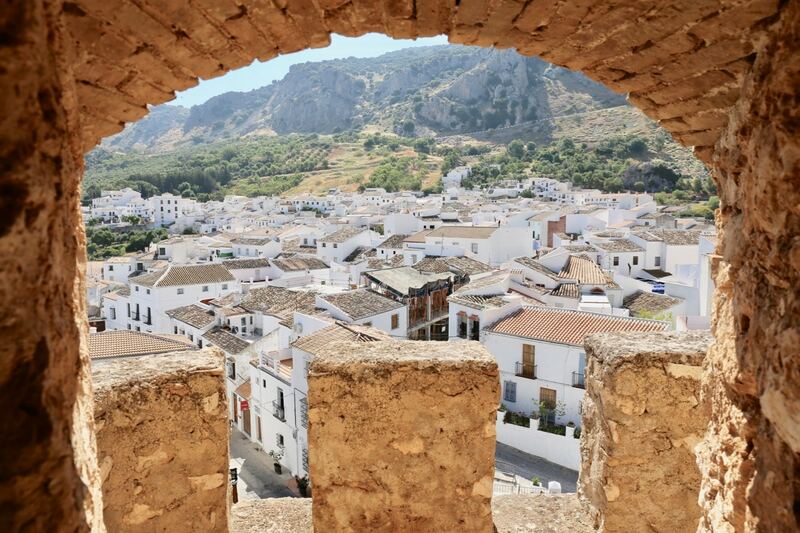 One of Andalucia’s prettiest villages, Zuheros is located directly in between Cordoba and Granada, offering road trippers a perfect spot to stop and explore when driving between the two city’s. Set on a picturesque pinnacle, Zuheros’ castle is of 9th-century Moorish origin, but most of what survives today is from the 13th and 14th centuries. The castle is small but after marching up its staircase you’ll enjoy jaw-dropping panoramic views. 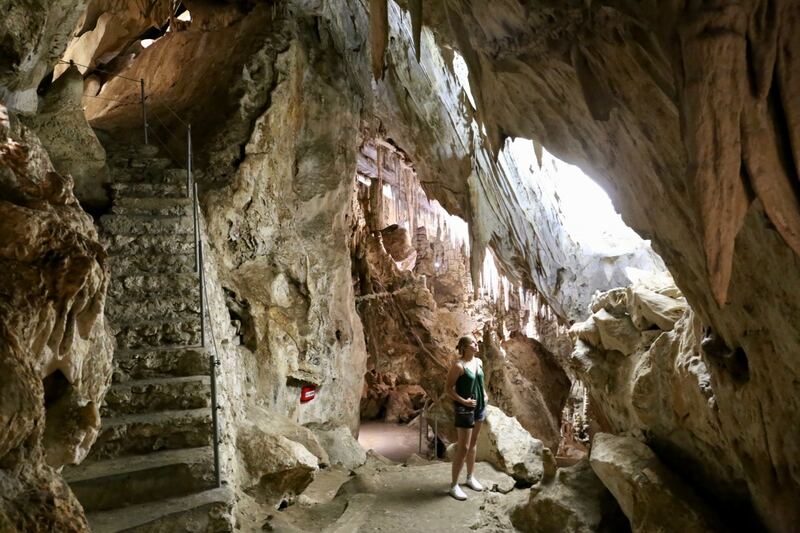 Located a short 4-kilometre drive from Zuheros is The Cave of the Bats. Located on the edges of Sierras Subbeticas Natural Park, the underground cave system is internationally renowned for its unique rock paintings and significant archaeological remains dating back to Neolithic times. Burial remains discovered in the cave show evidence of human occupation dating back to 4,300 BC. Enjoy a guided tour and you’ll also marvel at spectacular rock formations featuring stalagmites, stalactites, underground lakes, and caverns. The Alhambra is Granada’s love letter to Moorish culture. Set against a backdrop of snow-topped Sierra Nevada peaks, this fortified palace started life as a walled citadel before going on to become the posh seat of Granada’s Nasrid emirs. Their showpiece palaces, the 14th-century Palacios Nazaries, are considered the finest Islamic buildings in Europe. Give yourself a good three hours to properly enjoy the palatial property. Be sure not to miss the the geometrical ceiling pattern inspired by Pythagoras’ theorem at Sala de los Abencerrajes, the frothing marble fountain at Patio de los Leones, and gorgeous architectural reflections in the quiet pool at Patio de Arrayanes. 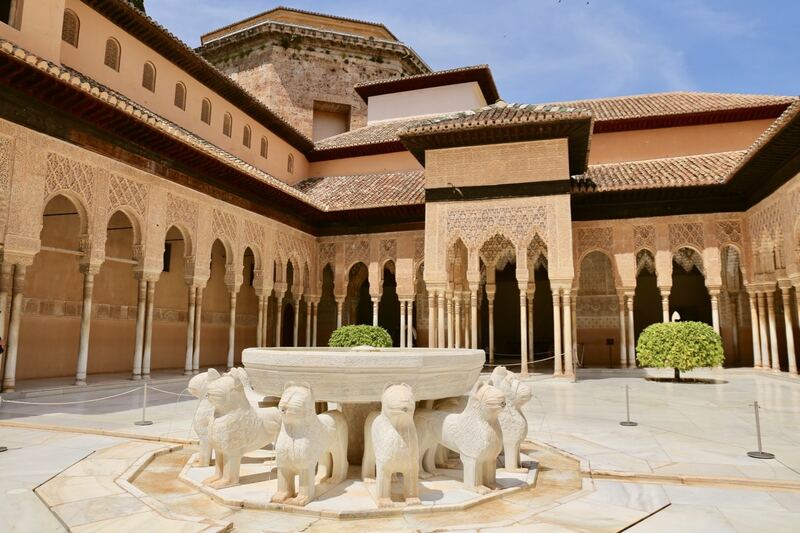 As one of Spain’s most high-profile attractions, the Alhambra can draw up to 6,000 visitors daily. Tickets regularly sell out days in advance, so book ahead to avoid disappointment. Tapas are small snacks that originated in Andalucia in the 19th century to accompany a glass of sherry. Stemming from a bartender’s practice of covering a glass with a saucer or tapa (cover) to keep out flies, the custom progressed to a chunk of cheese or bread being used, and then to a few olives being placed on a platter to accompany a drink. Toady Granada is considered the home of Spain’s tapas culture, the last city in the country to keep with tradition and offer complimentary snacks for each guest who grabs a drink at the bar. 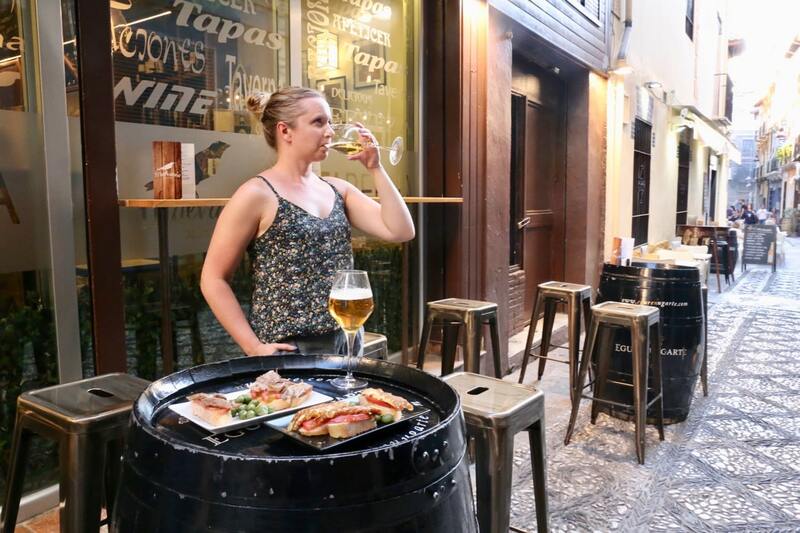 There are tons of local operators that offer daily tapas tours in Granada, helping to explain the history of the culinary tradition as well as highlight the city’s most celebrated bars. It’s customary to receive a free plate of food with each drink purchased, so pace yourself as you skip around the city at night as there are plenty of bite-sized morsels to sample while you sip. If you’re looking to escape the city and enjoy a day trip the Sierra Nevada mountain range can be accessed just a short hours drive outside of Granda. The drive is seriously scenic so be sure to roll down your windows and let the fresh mountain air toss your hair to and fro. Make a point of stopping to visit the picturesque white-washed hillside towns of Pampaneira, Bubión and Capileira. The region is a popular spot for serious hikers, whether you’re keen to enjoy an afternoon hike in the sun or want to push your limits by embarking on a multi-day mountain peak camping trip be sure to organize your visit via local mountain guides Nevadensis. 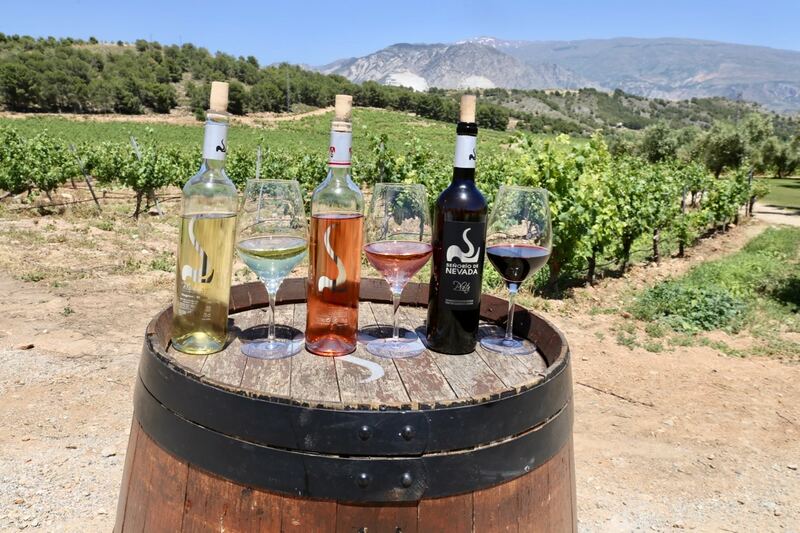 After spending the day enjoying panoramic views of the Sierra Nevada mountains, take a pause before heading back to the city at Bodegas Señorío de Nevada. Located a short 30-minute drive south of Granada, Senorio de Nevada is the region’s most celebrated winery. The state-of-the-art facility is located in the foothills of the mountains and features a boutique hotel, fine dining restaurant, wine bar, and lush vineyard. Oenophiles should book a tour of the winery’s vineyard, production facility, and barrel room. You’ll finish off the experience sitting in the sun while sipping through the winery’s award-winning bottles of white, rosé, and red. 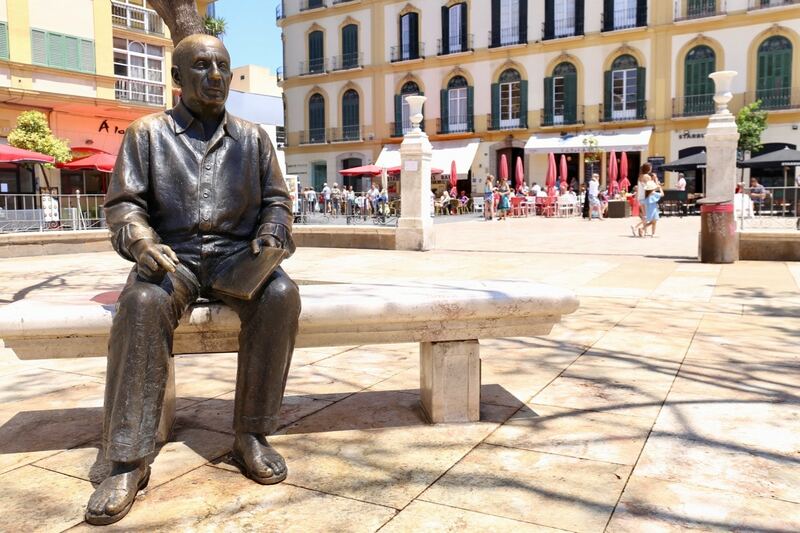 In-the-know art lovers plan pilgrimages to Malaga to visit the birthplace of Pablo Picasso. When the celebrated artist was still alive he curated a selection of his most meaningful works, with the intention of showing it all off at a museum in his hometown. The collection found at Museo Picasso features 233 works that cover 80 years of the painter’s life, from 1892 to 1972. In its 11 rooms, you can see how Picasso breaks with convention, as the works are created in a wild variety of mediums including serious sketches, framed sky-high paintings, whimsical sculptures, and ornately decorated tableware. Looking for a perfect place to unwind on the beach for a few days at the end of your Andalusian road trip? Hotel Ritual in Torremolinos, located a short drive from Malaga, is the biggest LGBT-focused hotel in the Costa del Sol, with 189 newly renovated, modern, stylish rooms. This friendly adults-only resort features a restaurant, barbershop, speedo swimwear boutique, gym, spa, an outdoor swimming pool surrounded by loungers and parasols, and a rooftop nudist area complete with petite bar, infinity pool, and jaw-dropping views. Throughout the year Hotel Ritual hosts a popular monthly pool party and during the busy summer months you’ll find a colourful calendar featuring Spain’s top gay DJs and Drag Queens.